3. At low speeds, it was highly inefficient. It could burn two tons of fuel just taxiing to the runway. However, it was designed to be operated at Mach 2 "“ and when it was, it was the most fuel-efficient jet engine ever built. 4. 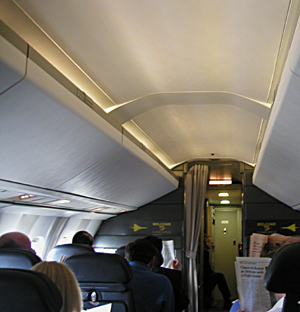 Concorde could stretch anywhere from 6-10 inches during flight because the heating of the airframe was so intense. 5. You know where you are based on what it's called. OK, you probably know where you are anyway, but go with me here. In the U.S., it's the Concorde. In the U.K., it's simply Concorde. And in France, it's Le Concorde (figure). 6. 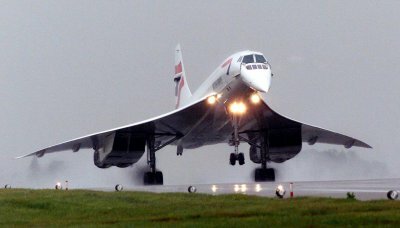 It was quite noticeable when the Concorde passed through the sound barrier: first of all, the pilot would announce it. But also, there was a surge in acceleration and the air compression was such that the windows would get warm to the touch. 7. 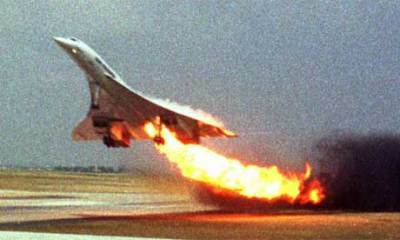 The Concorde had just one major crash, but it was the beginning of the downfall for the supersonic jet. Air France Flight 4590 was headed from Charles de Gaulle in Paris to JFK in New York on July 25, 2000, when a piece of debris on the runway punctured a tire. The tire burst and a big chunk of it flew up and hit a wing, which ruptured the fuel tank under the landing gear. This led to a fire, which ultimately ended up in the pilots losing control of the plane and crashing into a nearby hotel. There were no survivors, and four people on the ground died as well. 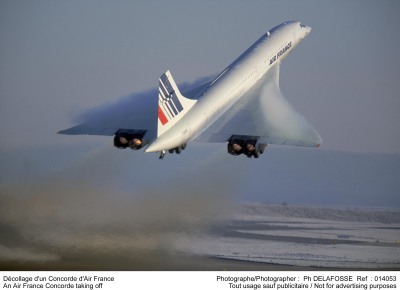 Even though this was Concorde's only disaster, it led to flights being grounded for a while so improvements to safety could be made "“ including tires that wouldn't burst and Kevlar-lined fuel tanks. The improvements were tested, and the first post-crash passenger flight was made on September 11, 2001. Yep. Obviously, after that, the airline industry suffered. Between that and the public's uncertainty after the 2000 Concorde crash, the customer base was no longer there. Air France and British Airways both announced on April 10, 2003, that they would be ending all Concorde flights and retiring the planes. 8. The last flight from New York to Heathrow in London was an exclusive party. Attendees included Joan Collins, Models Jodie Kidd and Christie Brinkley, British Airways chairman Lord Marshall, the Tony above Benn, broadcaster Sir David Frost and stock exchange chairman Chris Gibson-Smith. When it left JFK, it flew through water cannons spraying jets of red, white and blue water. When it arrived at Heathrow, it was greeted by 1,000 spectators seated in a grandstand built just for the occasion. The Queen even consented to have Windsor Castle lit up when the last flight flew over it "“ usually, Windsor Castle is only illuminated for visiting dignitaries and heads of state. 9. 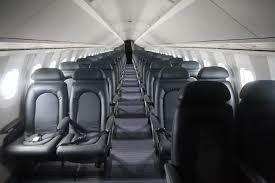 Pieces and parts of the Concorde have been auctioned off in both France and England "“ everything from the Machmeter to salt and pepper shakers and blankets with the Concorde logo.